I had a bad experience eating fresh 23 PC Ecuadors. The trippy part was mild but the body load ( cramps, spasms and sweating) were very bad. I was wondering if this is normal for the ecuador species. They were very watery and the taste was very mild as well. Does drying reduce the body load? Which species has the best trip power combined with lowest body load? 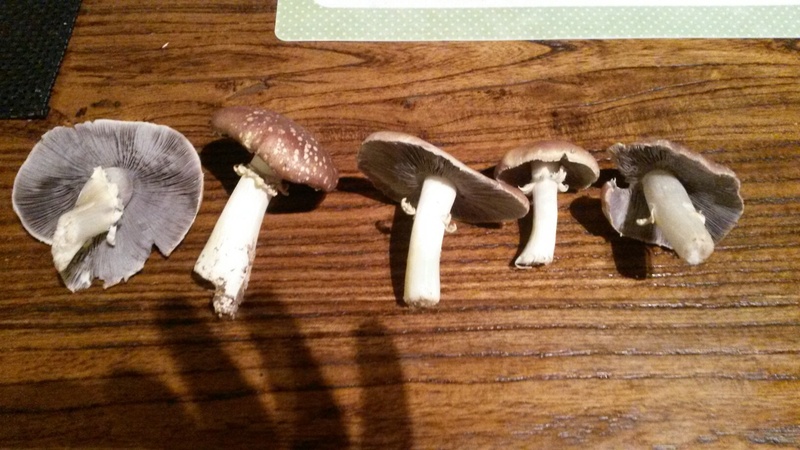 My next batch is Panaeolus tropicalis. Waht is the word on the trip and body load on these babies? Please help me out as I don't want a repeat experience. Psilocybin breaksdown into psilocin while in the body anyways; they are both really the same thing. One doesn't give a body high and the other a "mind" high. They both do the same thing to you. Edited by Shiznitz on 08/17/01 09:46 AM. "I guess nobody's minding the store here..."
This is not directed for you fungking you havent been around long but this post belongs in "Trip Tips" I would think. fresh have a little heavier body load, only because you have to eat so much more mass, and sometimes that upsets people's stomachs, let me guess, you dont drink liquor either? I had EQ's and i had a nice clean trip, my stomache felt a little upset for about an hour but nothing that really bothered me. and did you say you ate 23 fresh shrooms? or did you mean 23 grams? cause ecuadors are pretty big shrooms and ive seen people trip of 2 of them. They are pretty big shrooms. Strong too i ate 3.6 dried grams and got a really strong trip. Kinda uncomfortable but thats usally how it works when you do to much. fred's posts are tiring... 10,000 toilets are out of order, and he is trying to be a comodian. Anyway... I always get sick from P. amazonian (Matias Romero). B+ have always been good to me. I am about to try some Thia cubies to see what happens. Eq's have been the cleanest in my opinion-no muscle spasms or ridiculous amount of sweating on moderate doses. However, PF amazonian, for sure, has all the bad qualities to it. Do aborts have more psilocybin?? 1,238 topic views. 17 members, 86 guests and 12 web crawlers are browsing this forum.